The KVM extension solutions enable customers to separate users from computers with simple connect-and-go ease of installation. 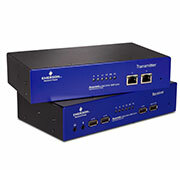 KVM and peripheral devices can operate up to 1,000 feet away from the computer or switch with the Avocent® LongView™ extender family, which automatically compensates for any performance degradation over the extension connection to deliver a true “at the PC” experience for the user. Avocent LongView IP KVM extension solutions enable you to separate and locate users and their computers anywhere on an existing LAN. Digital Extension Technology – Allows the computer and user to be located up to 1000 feet from the source..
VGA Video – VGA resolutions of 1920 x 1200 are achievable at up to 300 meters (1000ft). Plug and Play – The LV 3000series extenders are delivered in a zero configuration state so you can plug them in and start working immediately. There’s no need for additional drivers or software. USB Support – USB 2.0 (low and full speed) allowing all USB compatible accessories (including isochronous devices) to be extended. The receiver unit has a built in 4 port USB hub to enable a complete desktop to be located remotely, including a keyboard, monitor, mouse, disk drive, flash memory stick, webcam, and any other device that would normally be plugged into your computer’s USB port. Avocent LongView extension solutions enable you to increase the distance between the user and the target system. Extension solutions are ideal for solutions in broadcast, IT, industrial, transportation, emergency management and defense/military applications. Digital Extension Technology – Video, USB 2.0 (Low and Full speed) and audio all pass along a single cable, providing up to 50 me-ters of extension. USB Powered Transmitter – The transmitter is powered via its USB port to reduce the need for external power supplies. There is an option for an external power supply if the USB port has insufficient power. Digital Video– Supports DVI-D (HDMI with adapter) video on single or dual screens, with resolutions up to 1920 x 1200 @ 60Hz. Plug and Play – The LV 4000 series extenders are delivered in a zero configuration state so you can plug them in and start working immediately. There’s no need for additional drivers or software. USB Support – USB 2.0 support for any USB human interface device from mice and keyboards to graphics tablets,touchscreens, jog shuttles,joysticks, 3D explorers andmass storage devices. Full speed (12Mbps) isochronous devices such as headsets are also supported. High-definition Display Port Video – Supports DisplayPort Dual Mode (DP++) and can transmit maximum resolution of up to 3840×2160 (UHD 4K)with a single monitor, or two 1920 x 1200 (WUXGA) video streams in a dual monitor configuration. USB 2.0 – Enables connection of up to six USB human interface devices including mice, keyboards, graphics tablets,touchscreens, jog shuttles, joysticks, 3D explorers, mass storage devices and isochronous devices like webcams and headsets. 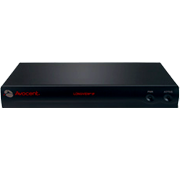 HD-quality – High definition analog stereo audio input and output. S/PDIF input also supported. 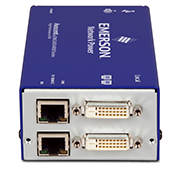 Plug and play – The LV5000 Series extenders are delivered in a zero configuration state so you can plug them in and start working right away. There’s no need for drivers or software to be installed — Full USB 2.0 requires a second cable. Digital Extension Technology – Allows the computer and user to be located anywhere on the 100 or 1000Mbps network with full routing of data across routers, switches and subnets. Encryption of Network Data – 128bit AES encryption of all data passing between the computer and the network. Complete Hardware Solution – Uses existing computers and peripherals without any internal computer modifications or software to install. USB Support – USB media and most other USB devices including USB keyboard/mouse as well as vUSB. Greater Range of Options – Models available to support VGA, DVI-I, DVI and dual DVI video to deliver high-quality video in a variety of applications and environments.